Canon is finally stepping into the fray that is mirrorless cameras. 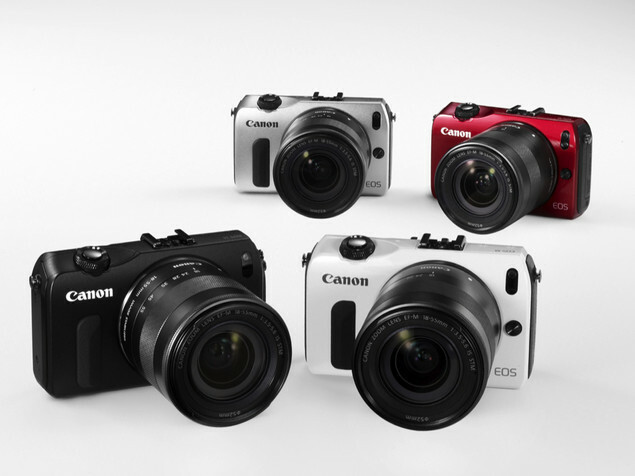 Think of the Canon EOS M this way...it bridges the gap between a DSLR and a simple and handy point and shoot. We could go on and give you all these specs like 18 megapixels, blah, blah, blah, blah...but whatever. It takes pictures, and takes them rather easily. Our favourite feature...it takes nearly all EF and and EF-S lenses, making this a versatile little number. You can learn more here.